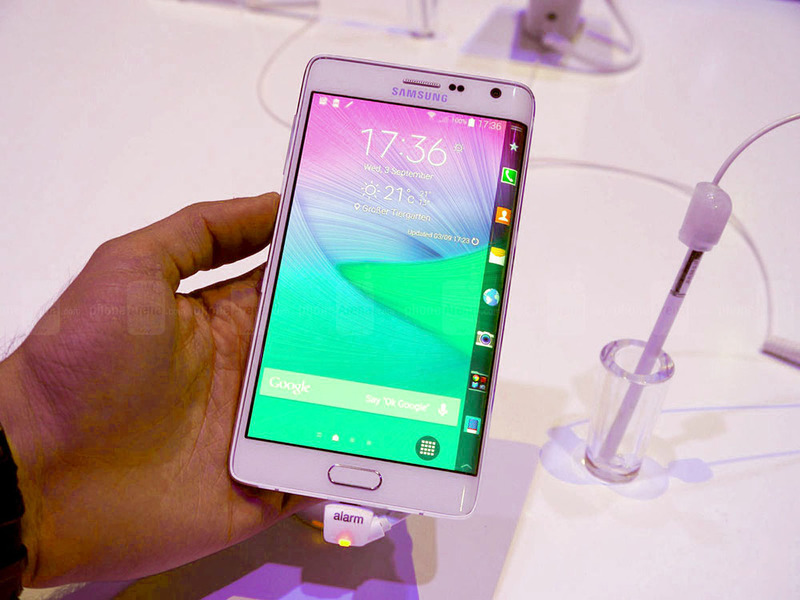 Samsung's most Exciting Smartphone of the Year, the curved Galaxy Note 4 Edge. 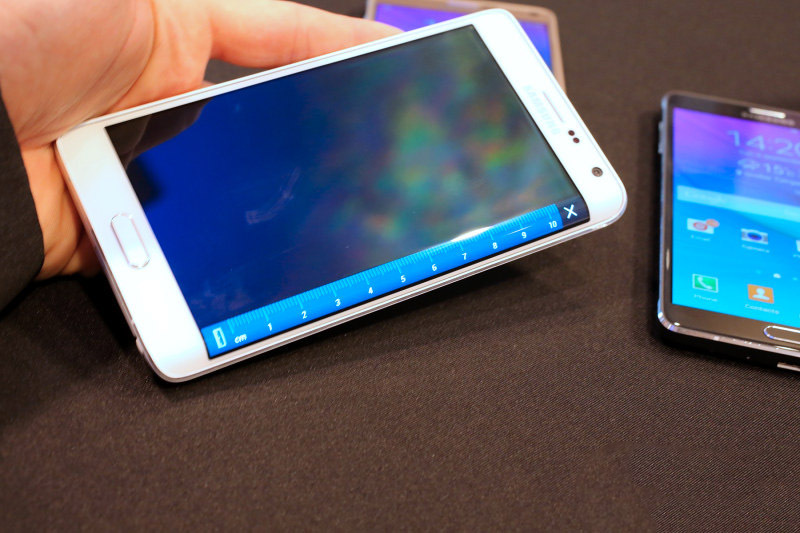 This Huge phablet is Samsung's first official flexible display Smartphone. 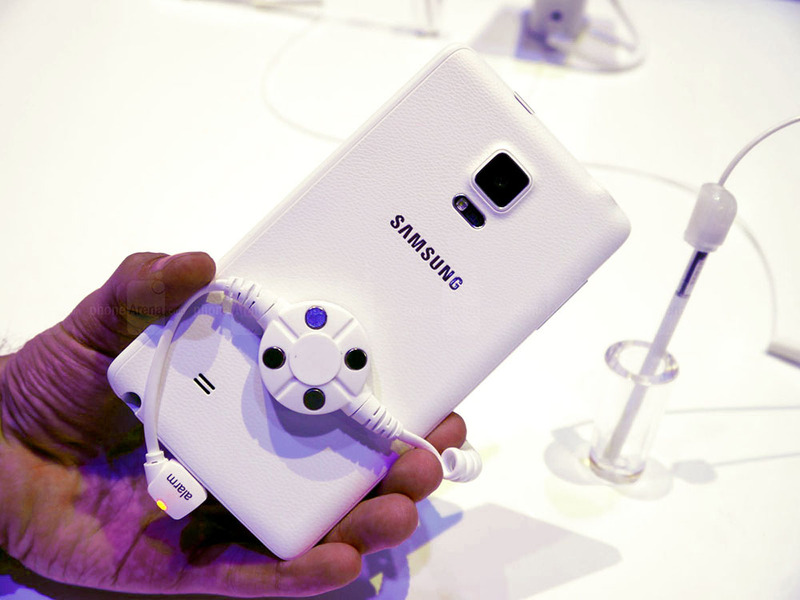 It packs all what Samsung has been preapring for the last 2 years, all the Features, Storage and Sensors you need. 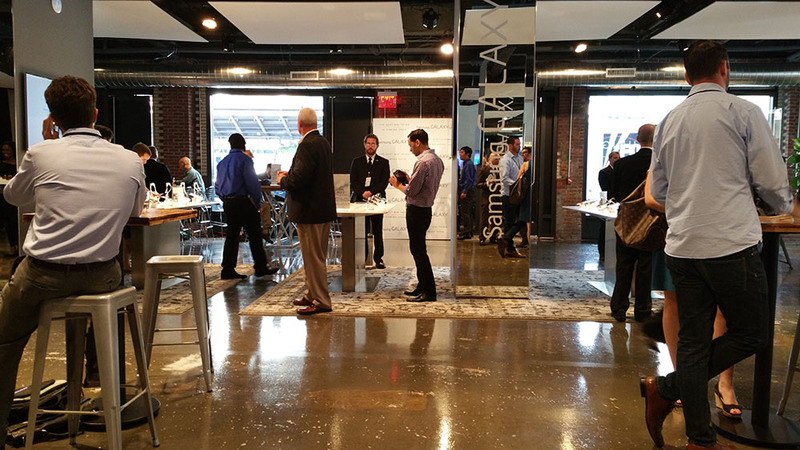 We here have an in-depth Hands-on Photos for the Note 4 Edge. Design is a fitting place to start, for the Note Edge is both very much alike to what you would expect from Samsung's high-end phablet line, and, at the same time, completely, bewilderingly, different. 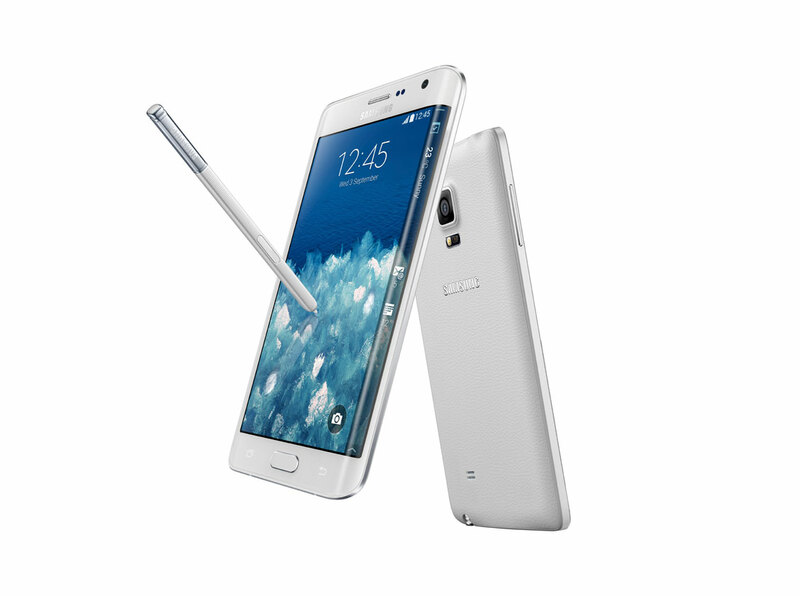 Indeed, the Note Edge is basically a copy of the Note 4, and features the same rectangular body with rounded corners, along with a very similar metal frame that hugs the body from all sides. 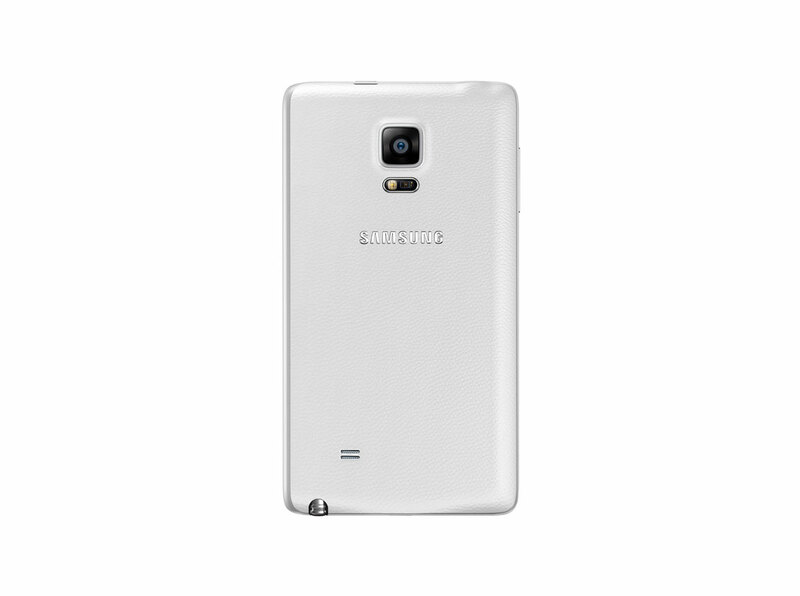 At the back, we've got the same faux-leather texture, though that one shouldn't be confused with what the the Note 3 has going on there are no stitches here, and the pattern is different. We found that we like this one better. Where it gets interesting is on the right side of the Edge, which is where the short, but wide display is located. It honestly looks cool, but mostly in a geeky kind of way. And while that may be a concern for some, we were actually more bothered by the challenges it presents to the normal operation of the phone. To be more specific, the Edge is just weird to hold, especially if you're not a leftie. What's worse, we kept accidentally clicking on the keys on the side screen as there's very little room for our hand to rest. All said, while our initial impression was a mixed bag in terms of handling and ergonomics, we'd like to spend more time with the Edge and see if we won't get used to it. Alright, let's forget the side screen for a moment, and focus on the main one. We've got a 5.6-inch (yes, it's smaller than the Note 4's) AMOLED display with a Quad HD (1440 x 2560) resolution, good for the whopping 525 pixels per inch. We'll obviously have to wait until we can tell if Samsung did a good job calibrating the panel. 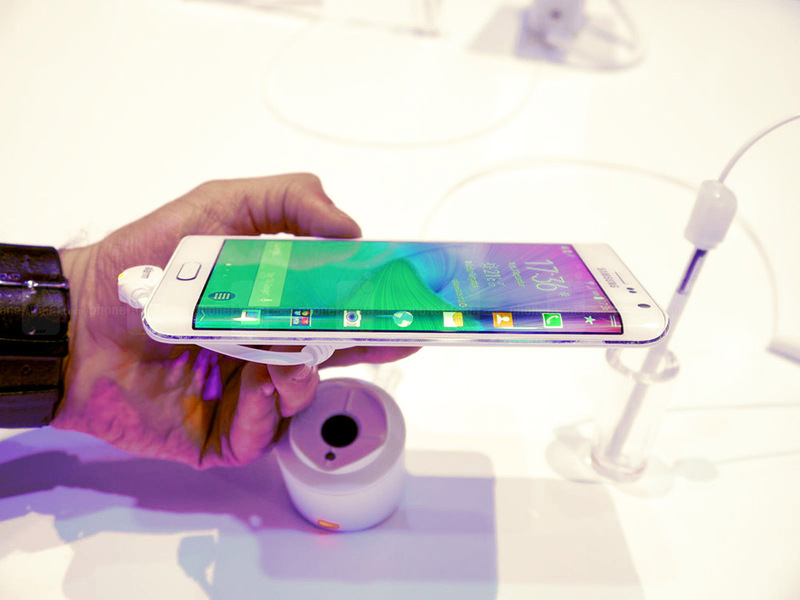 Turning to the screen on the edge of the phone, all we know for sure right now is that it makes do with 160 pixels. As for its size, our guess would be 1 inch. The really cool thing about the tiny screen on the edge is that it seamlessly continues the phone's wallpaper, and is obviously capable of displaying various types of information at all times. For example, you can customize it so that it holds specific app shortcuts, but the space will also be automatically filled with settings when you fire up the camera, or media controls when you have the music player on. It'll also show you your missed notifications. There's nothing fancy going on in terms of the software powering the Galaxy Note Edge, aside, of course, from the fact that Samsung has obviously reworked some of the main apps so they can make use of the screen on the edge, and will allow third-party developers access to the same. 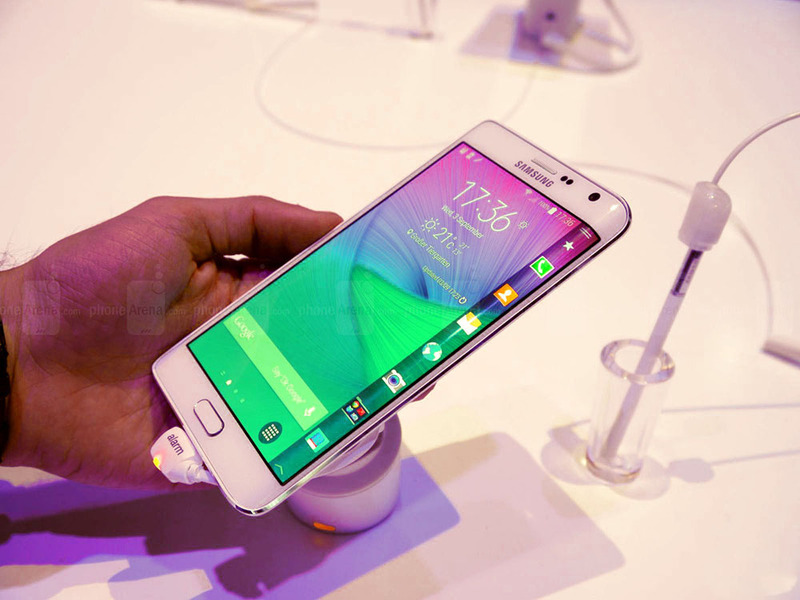 The Edge is powered by Android 4.4 KitKat with Samsung's proprietary TouchWiz skin on top of it. As many of you will know, the layout is extremely feature-rich, though quite a few of the extras are far from very useful. One example is the hardware heart rate monitor that is embedded next to the LED flash at the rear, though the list goes on. That said, perks like Smart Stay and the many features that the S-Pen stylus unlocks are quite handy, so the software definitely has its strengths. 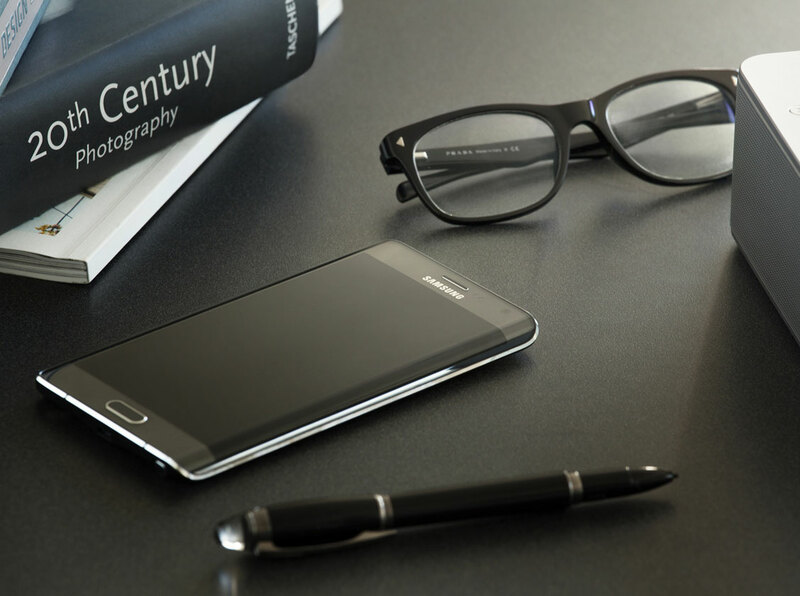 The Galaxy Note Edge, along with the Note 4, is on path to becoming one of the very first devices with Qualcomm's latest and greatest Snapdragon 805 chipset. The new silicon is specifically-crafted for use with ultra high-definition screens such as the one the Edge has, and handles UHD video content well. If you dissect the Snapdragon 805, you'll find four Krait 450 cores inside, running at 2.7 GHz, along with an Adreno 420 GPU. That last one should ensure the smooth operation of the device, despite the many, many pixels it needs to push. 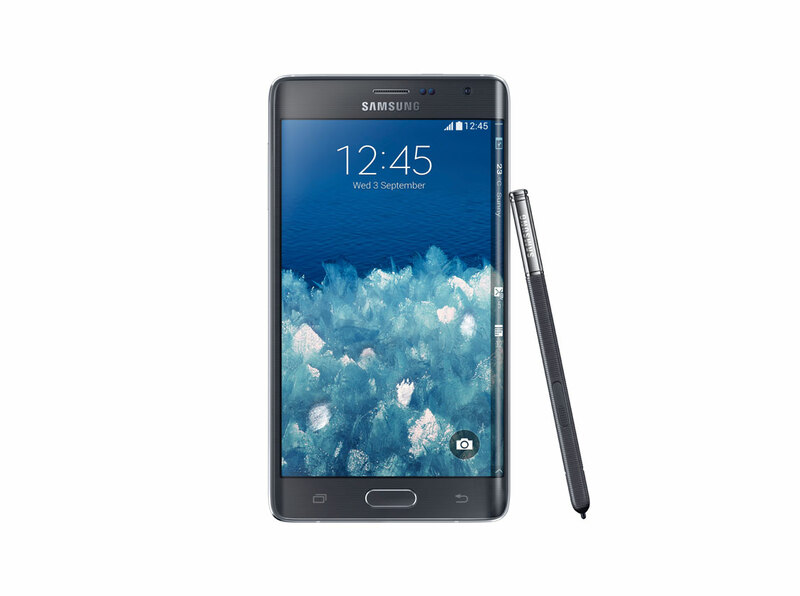 As for memory, Samsung has equipped the Note Edge with the generous 3GB of LPDDR3 RAM.